Intex Mobiles has unveiled its latest Smartphone in the Aqua series dubbed as the Intex Aqua Slice. The device comes with 4.5-inch display and runs on latest Android 4.4 like most of the entry level devices. The Company also launched another budget Smartphone, the Intex Aqua Y2 Pro with 3G Support and runs on Android KitKat. So let’s check the detailed specifications of the Intex Aqua Slice Android Smartphone. The Intex Aqua Slice comes with dual SIM support and runs on Android 4.4 KitKat operating system out of the box. It has 8 MP rear camera with LED Flash and is accompanied with 5 MP front facing camera. The Smartphone features a 4.5 inch IPS LCD capacitive touch screen display and is powered with 1.3GHz Quad Core processor. The Intex Aqua Slice has 8GB of inbuilt memory and also consists of microSD card slot for memory expansion up to 32GB. The Wireless connectivity of the mobile phone includes Bluetooth, GPRS, GPS, 3G, WiFi, and USB. It also comes with 3G support, has 1GB RAM and packs with 1650mAh battery. 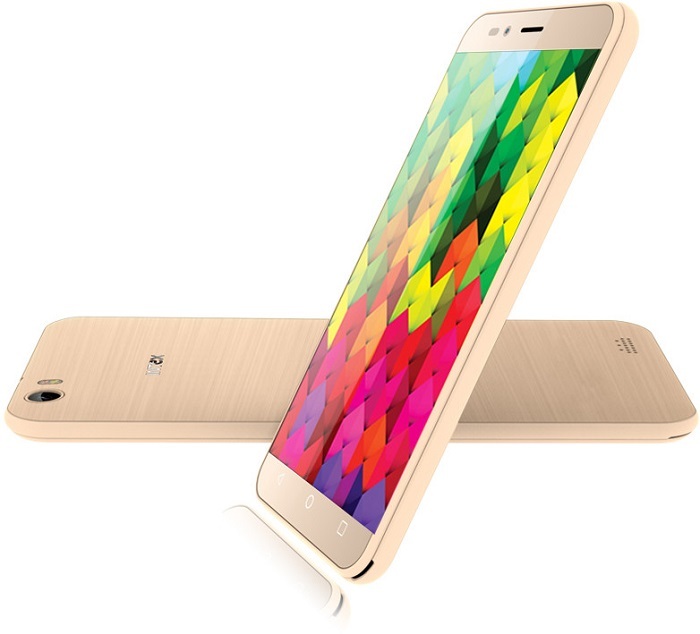 The Intex Aqua Slice is priced at Rs. 7,999 and will be available to purchase from mid of October 2014 in Indian Markets.